Blends Well With: Cedarwood, chamomile, cypress, lavender, mandarin, orange, nutmeg, rosemary, ylang ylang, eucalyptus, and thyme essential oils. 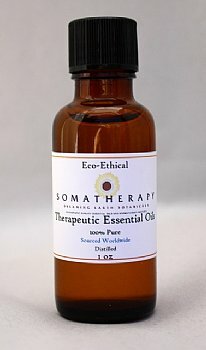 Organic Sweet Marjoram essential oil is a calming, soothing oil that has a warming effect on both mind and body. It can help alleviate some of the miseries of the common cold, including congestion, muscle aches and pains, and is also comforting in times of stress. Marjoram is useful for tired, achy muscles and for massaging on the lower abdomen during menstruation. Also used to regulate the nervous system and promote sleep. Marjoram essential oil is pleasant in a hot bath, especially blended with Lavender. Care must be taken due to its sedative action - use sparingly! Avoid during pregnancy.